We love playing Minecraft around here, but we also like to take a break from our screen and get our hands dirty! 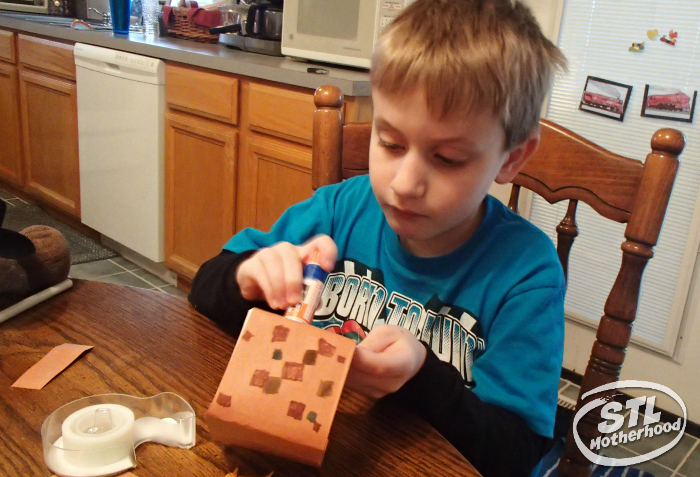 Blending our favorite video game with real life arts and crafts is a great way to get your kids to step away from the digital world. At least for a little while. 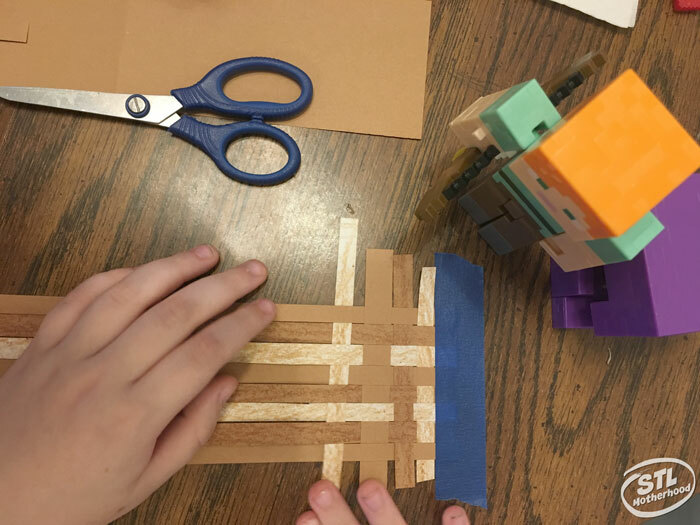 Mitch and I first made Minecraft grass blocks when he was a little kid–you can see that post here. I decided it was time to revisit this fun little craft now that’s he’s older. A lot of mom bloggers focus on crafts for pre-school kids, but that doesn’t mean older kids can’t craft too. In fact, older kids should craft MORE! They have more skill and more interest–if you pick the right crafts to fit their style and personality! Breaking news: kids never outgrow crafting. And can we talk STEM for a second? STEM is Science, Technology, Engineering and Math and it’s all over the blog-o-sphere these days. Sure, we want to expose our little ones to STEM ideas, but who’s going to really get the message? A three-year-old who just wants to dip their hands in paint because it feels squishy, or a ten-year-old who can finally gets the chance to connect their science lessons to something in the real world? 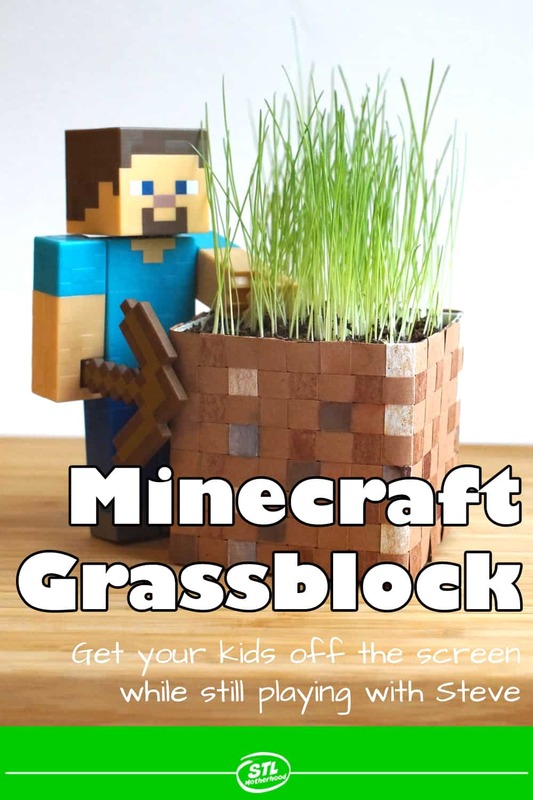 When you make this Minecraft grass block with your big kid, ask them how Minecraft grass is like–and unlike–real grass. 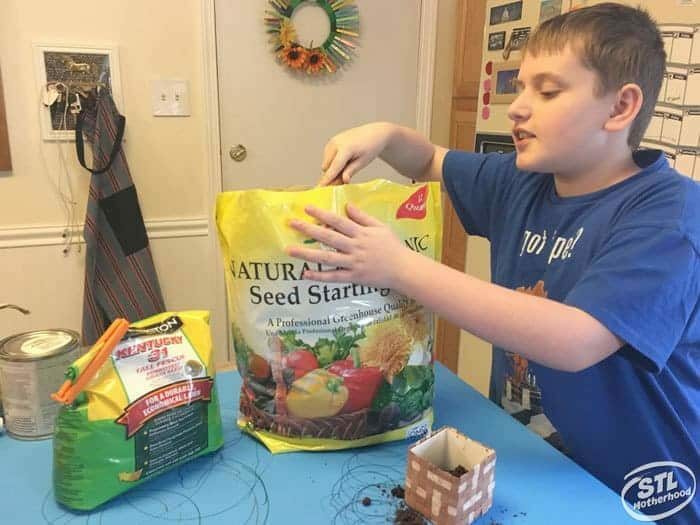 Plant the seeds and ask if they’ve talked about growing things in their science class. Make them responsible for watering the grass, then document how long it takes to grow. Make two or three grass blocks and put them in different windows and see which ones grow faster. Ok, I’m off my soapbox now! Let’s starting making grass blocks! 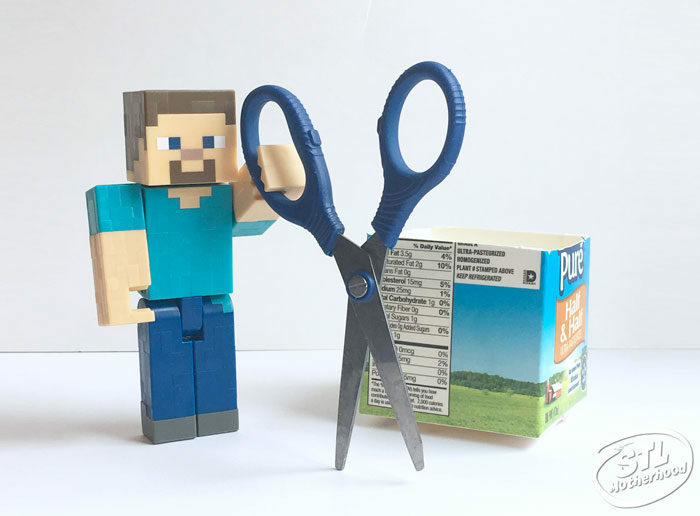 We’re still following that original idea: take a dairy carton, cover it in Minecrafty pixels, fill it with dirt and seeds and watch it grow. To make it more interesting, we’re using a basket weaving technique to make our pixels. Small dairy carton–we used a pint of Half & Half cream. Wash out your dairy carton and cut off the top to make it as close to a square as you can manage. It doesn’t have to be perfect. Cut a strip of brown paper to cover your container. 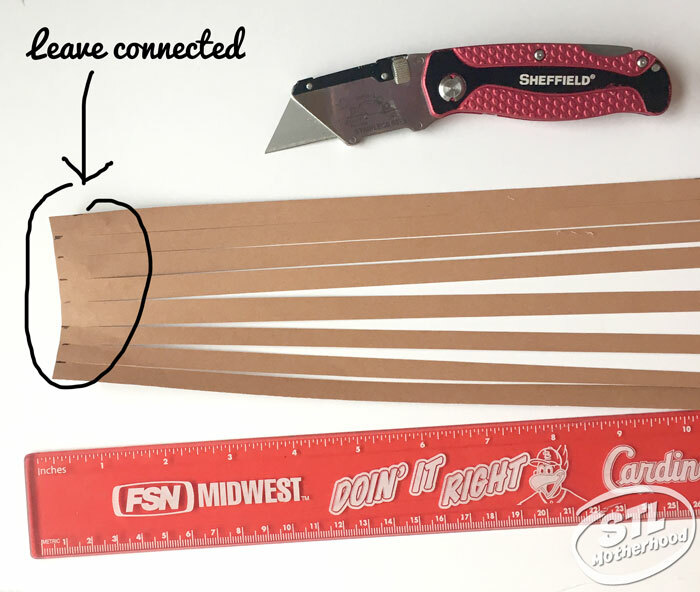 Carefully cut the paper into 8 strips BUT LEAVE THEM CONNECTED ON ONE END. This is the HORIZONTAL part of your weaving, or the warp if you’re being all technical. Now lets talk about paper color here. 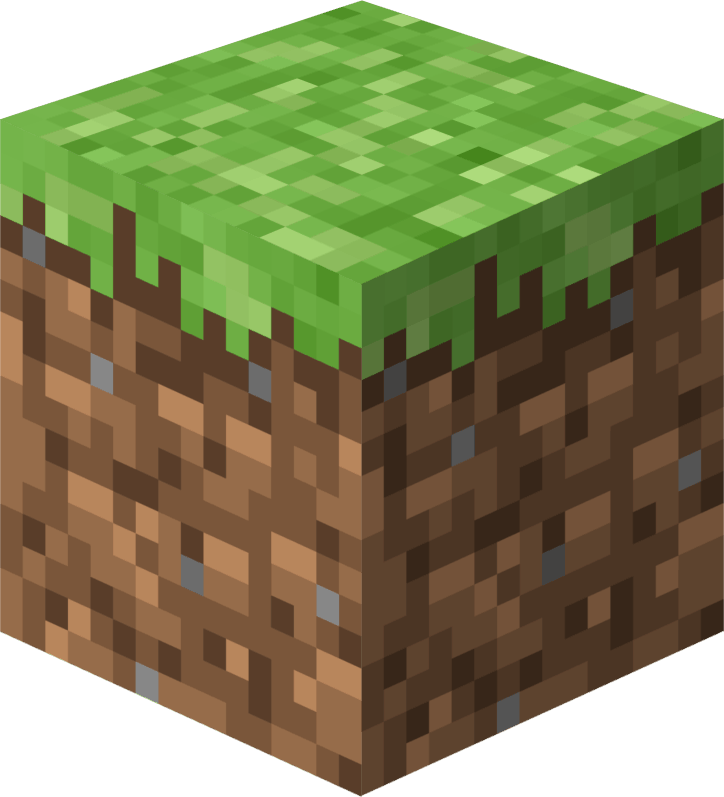 Minecraft dirt is made of several shades of brown and grey. If you don’t have four shades of paper, break out the crayons and make your own! We used crayons to make our basic brown into a darker brown, then colored the white paper into a light tan. Cut your dirt colored strips of paper approximately the same width at the first strips. It’s ok if it’s not perfect–I think our strips were something like .375 of an inch wide. Now WEAVE the single strips into the horizontal strips, alternating going over and under. Keep changing the colors! Do this until you fill the whole strip and can cover the carton. I should mention that Mitch went off the board, as he tends to do, and didn’t want his horizontal strips to all be the same color. So on his craft he made 8 horizontal strips in different colors. It worked, but the strips were kinda squirrely and we had to use tape to hold everything together. Go ahead and try it if you like a bit more challenge. 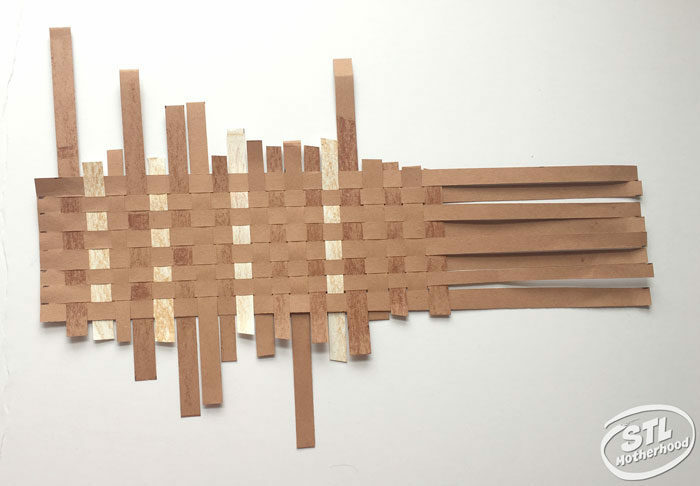 When the weaving is done, tape or glue the vertical strips to the back of the weaving and trim off anything that too long. Wrap the weave around your carton and glue or tape into place. Now they’re ready to plant! Fill the containers with dirt, add a bit of water, a little more dirt, and then your grass seeds. Follow the directions on the grass seed bag. 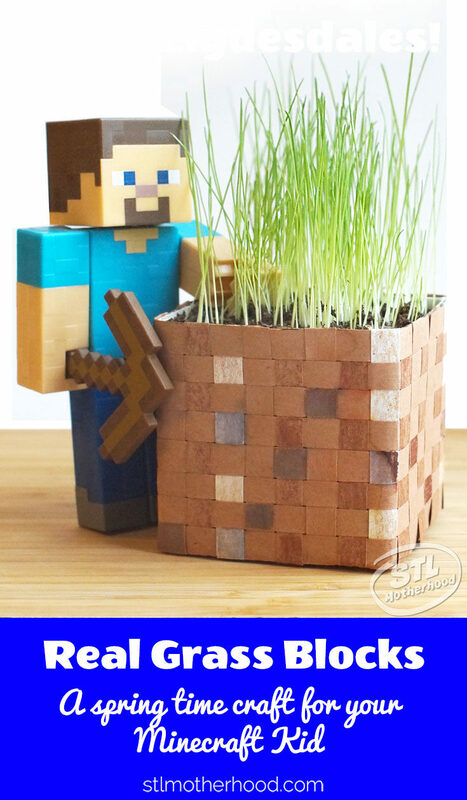 Place your grass blocks in a sunny window and keep watering them lightly. 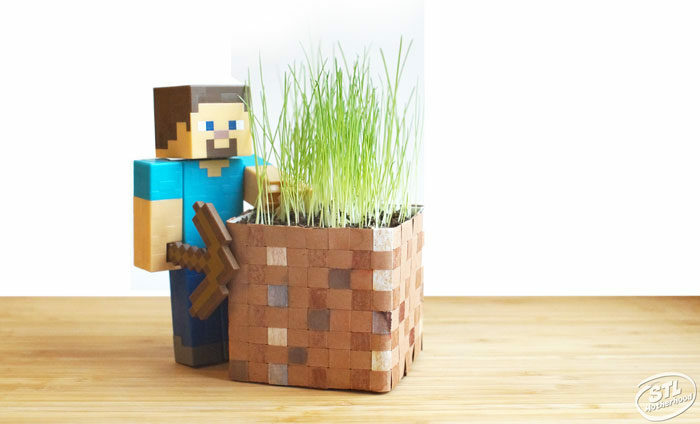 Soon you should have real life Minecraft grass! We used some old grass seed leftover from previous STEM experiments–I think the seed is 4 years old! It took a little longer to grow, but it did grow! Eventually. Want to see the first Minecraft Grass Block? Click the pic!